One of the first things parents use on their newborn babies are baby wipes. But have you ever taken a moment to read the ingredients on your wipes before touching them to your baby's sensitive skin? It's not something that most people think about, I mean they're just wipes right? What could possible be on them that is bad? Sadly, many wipes are made with harsh ingredients and chemicals. Back when my kiddos were in diapers, my options were pretty limited in the natural wipes department. There was maybe one or two options out there and those just weren't affordable for us. So that is why I am such a huge supporter of WaterWipes chemical free baby wipes. 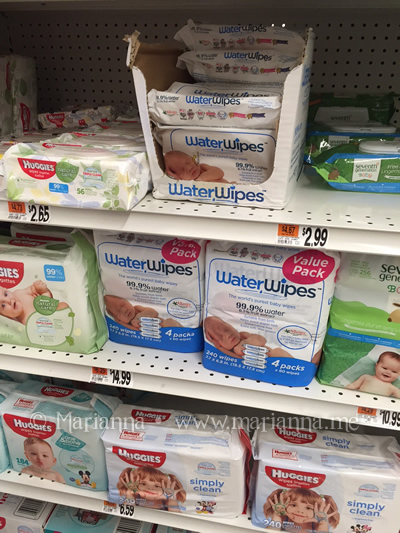 When I first tried WaterWipes earlier this year, they were only available at select Babies R Us stores. Sadly none of the stores within an hour of me carried it. But now they can be found at many Stop and Shop locations, which is wonderful for me since I am in that store at least once a week. So I was easily able to grab some while there doing my weekly grocery shopping. 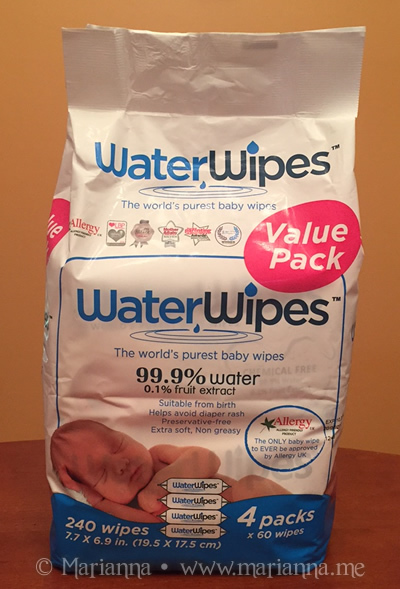 At my Stop and Shop here in Connecticut, WaterWipes were available in a 60 pack or a Value Pack which includes four 60 packs. To find WaterWipes near you, visit the WaterWipes Store Locator. WaterWipes display at Stop and Shop. Now even though my children (ages 5 to 10) are way past the diaper stage (thank goodness) that doesn't mean that baby wipes are no longer used at our house. Oh no, it is quite the opposite. Wipes are kept near the dining room table for quick clean up after snacks and meals and in each of the bathrooms so the boys can make sure they are nice and clean after doing their business. I even use baby wipes to clean up my dog after he goes for a walk. 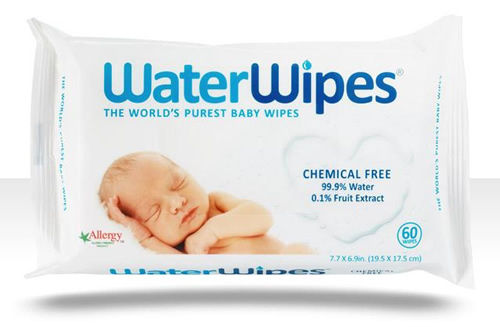 So see wipes are still widely used here and I love that WaterWipes contain only natural ingredients as I don't want chemicals anywhere near my family members (fury ones included). A common assumption for natural personal care products and cleaning products is that the lack of chemicals means these product don't work as well as their unhealthy counterparts. In the case of WaterWipes as well as most natural products, that assumption is completely false. WaterWipes work just as well for us as our Kirkland wipes do. Halloween was just last weekend and do you know how messy four young boys tearing into chocolate can get? It has been unseasonably warm here and so they instantly had melted chocolate all over their hands and in their nails. Bleh. But WaterWipes took care of it quickly. It is also important to note that since there are no yucky preservatives in these wipes, they do have an expiration date. An unopened package will keep for about 15 months, the packs have an expiration date printed on them. It is recommended that an open pack be used up within a month. Since I don't know any parent that doesn't go through nearly a pack or two of wipes a week, I don't see that as ever being an issue. I just wish Walmart would carry these so I wouldn't have to go out of my way to get them!